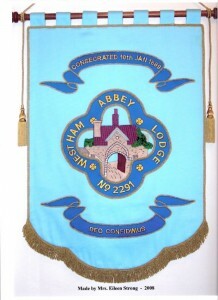 Welcome to the official website of West Ham Abbey Lodge No.2291 under the register of the United Grand Lodge of England. West Ham Abbey Lodge was consecrated in 1889 and is named after the abbey which stood on Temple Mills in Stratford, East London. The original name for the abbey was Stratford Langthorne Abbey but it became known locally as 'The West Ham Abbey'. The abbey itself was destroyed long ago and all that remained was the Gatehouse which spanned Abbey Road as depicted in our logo. This too no longer exists but our founding brethren would have remembered the Gatehouse and the importance of the abbey to the area and to Freemasonry. For more information on the Stratford Langthorne Abbey, please click HERE.